ANSI, through its public-private partnership with USAID called the Standards Alliance, organized a workshop on liquid cooking fuel standards in Lusaka, Zambia, on November 1. The Zambian Bureau of Standards (ZABS) served as co-host for the workshop, and the one-day workshop enabled a technical exchange on a variety of international standards. ANSI, through its public-private partnership with the U.S. Agency for International Development (USAID) called the Standards Alliance, organized a two-day training in Lusaka, Zambia, on July 19 - 20. The event, titled “Evidence-based Regulatory Decision Making: the role of RIA and Public Consultation,” was co-hosted by Zambia’s Business Regulatory Review Agency (BRRA). Training focused on promoting the use of regulatory impact analysis (RIA) in the Zambian regulatory system and providing practical training for Zambian regulators on RIA implementation. ANSI, through its public-private partnership with the U.S. Agency for International Development (USAID) called the Standards Alliance, participated in the June 18-22, 2018, African Organization for Standardization (ARSO) General Assembly, which was hosted by the South African Bureau of Standards (SABS) in Durban, South Africa. ANSI—through its public-private partnership with the United States Agency for International Development (USAID), the Standards Alliance—organized a two-day workshop in Maputo, Mozambique, in May to promote the implementation of the Good Regulatory Practices and to celebrate World Metrology Day. This event was held in coordination with the Mozambique national standards body, the Instituto Nacional de Normalizacao e Qualidade (INNOQ). The Standards Alliance, in collaboration with the Advanced Medical Technology Association (AdvaMed), has been working to implement a project aimed at helping Latin American governments maximize regulatory efficiency in the medical devices sector. Held on October 4-6, the meeting highlighted the components and usage of the American National Standard for Sustainable Agriculture (ANSI/LEO-4000) and U.S. sustainable agriculture standards. The American National Standards Institute (ANSI), through its public-private partnership with the United States Agency for International Development (USAID) called the Standards Alliance, organized a four-day training activity in Washington, DC, from October 10-13, 2017. On August 22-23, 2017, the Standards Alliance, in partnership with the American Chemistry Council (ACC), organized a workshop, "Sharing Best Practices in Chemical Regulations," during the Asia-Pacific Economic Cooperation (APEC) meetings in Ho Chi Minh City, Vietnam. Standards Alliance and Commerce Department Organize Vietnamese Delegation Visit to the U.S.
On September 11-15, 2017, the American National Standards Institute (ANSI), through its public-private partnership with the United States Agency for International Development (USAID) called the Standards Alliance, together with the U.S. Department of Commerce (DoC) and the American Automotive Policy Council (AAPC) organized a delegation visit focused on the U.S. auto industry in Washington, DC, Columbus, OH, and Detroit, MI. The American National Standards Institute (ANSI), through its public-private partnership with the U.S. Agency for International Development (USAID) called the Standards Alliance, organized a one-day workshop in Maputo, Mozambique, on August 10. A recent fact sheet from the Office of the United States Trade Representative (USTR) highlights the successful work of the American National Standards Institute (ANSI) and the Standards Alliance in supporting recent success stories related to reducing technical barriers to trade. The American National Standards Institute (ANSI), through its public-private partnership with the U.S. Agency for International Development (USAID) called the Standards Alliance, organized a two-day workshop in Lusaka, Zambia, on April 24-25. The American National Standards Institute (ANSI), through its public-private partnership with the United States Agency for International Development (USAID) called the Standards Alliance, organized a three-part workshop series in West Africa on March 31 – April 5, 2017. On March 15-16, 2017, the Standards Alliance, in collaboration with the U.S. Embassy in Jakarta and the Indonesian Ministry of Trade (MOT), held a two-day workshop entitled “Key Aspects of Good Regulatory Practice (GRP): Tools to Effectively Achieve Policy Goals ” in Jakarta, Indonesia. Standards Alliance and Department of Commerce Organize Andean-Mexican Delegation Visit to the U.S.
On December 4-10, 2016, the Standards Alliance, together with the U.S. Department of Commerce (DoC) and the American Automotive Policy Council (AAPC) collaborated a detailed autos delegation visit to Washington, D.C, Detroit, MI, and Corinth, MS. The American National Standards Institute (ANSI), through its public-private partnership with the U.S. Agency for International Development (USAID) known as the Standards Alliance, organized two days of standards-related events in Washington, D.C., as part of a delegation visit to the United States for members of the Ghanaian textiles and apparel industry. The American National Standards Institute(ANSI), through its public-private partnership with the U.S. Agency for International Development (USAID) called the Standards Alliance, organized an ethanol standards workshop in Kampala, Uganda on November 15. In collaboration with the U.S. Department of Commerce (DoC) and the American Automotive Policy Council (AAPC), the Standards Alliance—a public-private partnership between the American National Standards Institute (ANSI) and the U.S. Agency for International Development (USAID)—recently organized a one-day workshop entitled “Automotive Standards and Regulations in the Americas” in Guayaquil, Ecuador. The Standards Alliance, a public-private partnership between the American National Standards Institute (ANSI) and the U.S. Agency for International Development (USAID), recently hosted a conference, “High Level Symposium to Enhance Regulator Expertise on the WTO Agreement on Technical Barriers to Trade,” in conjunction with the Secretariat of Economy of Mexico (SE) on February 9-10 in Mexico City. The American National Standards Institute (ANSI) is pleased to announce an expansion of the Standards Alliance, ANSI’s public-private partnership with the U.S. Agency for International Development (USAID) that provides technical assistance to developing countries specifically related to implementation of the World Trade Organization (WTO) Technical Barriers to Trade (TBT) Agreement. The Standards Alliance, a public-private partnership between the American National Standards Institute (ANSI) and the U.S. Agency for International Development (USAID), recently hosted a delegation of Colombian officials, including key representatives of the trade ministry, national standards bodies, accreditation bodies, regulators, and the private sector, at ANSI headquarters in Washington, D.C. The American National Standards Institute (ANSI) recently partnered with the Global Alliance for Clean Cookstoves to organize Standards Alliance training in Accra, Ghana. The Standards Alliance is a public-private partnership between ANSI and the U.S. Agency for International Development (USAID). Its overall mission is to support implementation of the WTO Technical Barriers to Trade Agreement in developing countries. As part of its work under the Standards Alliance program, the American National Standards Institute (ANSI) recently partnered with the U.S. Agency for International Development’s (USAID) Facilitando Comercio – in collaboration with the Ministry of Commerce, Industry and Tourism (MinCIT) and the national standards body of Colombia, ICONTEC – to carry out a May 12-13 workshop in Bogota on the World Trade Organization (WTO) Code of Good Practice for the Preparation, Adoption and Application of Standards. The American National Standards Institute (ANSI) recently partnered with the U.S. Agency for International Development’s (USAID) Southern African Trade Hub to carry out training in Maseru, Lesotho, under the ANSI-USAID Standards Alliance initiative. The 3-day event involved participants from the U.S., Malawi, Zambia, and Lesotho and focused on International Organization for Standardization (ISO) national mirror committees. Regulatory cooperation can increase economic growth in each country; lower costs for consumers, businesses, producers, and governments; increase trade in goods and services across our borders; and improve our ability to protect the environment, health, and safety of our citizens. On December 10-11, 2014, the Standards Alliance, a public-private partnership between the American National Standards Institute (ANSI) and the U.S. Agency for International Development (USAID), co-hosted a conference in Mexico City in conjunction with Mexico’s Secretariat of Economy (SE) and Federal Regulatory Improvement Commission (COFEMER) and the Canadian Department of Foreign Affairs, Trade and Development (DFATD). On October 29-30, 2014, the Standards Alliance, a public-private partnership between the American National Standards Institute (ANSI) and the U.S. Agency for International Development (USAID), co-hosted a workshop in Lima, Peru, with the Peruvian Ministry of Foreign Commerce and Tourism (MINCETUR). As part of its work under the Standards Alliance program, the American National Standards Institute (ANSI) – in collaboration with the General Bureau of Standards of the Mexican Ministry of Economy (DGN) and the Pan-American Standards Commission (COPANT) – organized a November 3-7 workshop at the Mexican Entity of Accreditation (EMA) in Mexico City on best practices in conformity assessment. The American National Standards Institute (ANSI) has extended the submission deadline for proposals for training and other activities to be conducted under the ANSI–U.S. Agency for International Development (USAID) initiative the Standards Alliance. The White House recently issued an official Fact Sheet on the August 4-6, 2014, U.S.-Africa Leaders Summit that highlights the expanding work carried out by the Standards Alliance in Sub-Saharan Africa. 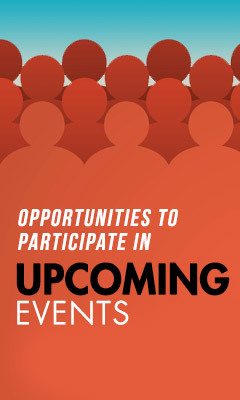 The American National Standards Institute (ANSI) invites interested parties to submit proposals for training and other activities to be conducted under the ANSI–U.S. Agency for International Development (USAID) initiative the Standards Alliance. On March 24-27, 2014, leaders in standards and conformity assessment from the Association of Southeast Asian Nations (ASEAN) came to the National Institute of Standards and Technology (NIST) in Gaithersburg, Md., for intensive training sessions on U.S. standards and conformity assessment principles and practices affecting electrical and electronic equipment. The American National Standards Institute (ANSI) and the African Organization for Standardization (ARSO) recently finalized a Memorandum of Understanding (MoU) that is designed to bolster cooperation between the two organizations in connection with both existing and new initiatives. The American National Standards Institute (ANSI) – U.S. Agency for International Development (USAID) initiative the Standards Alliance recently coordinated a visit to the U.S. by a delegation from three Southern African Development Community (SADC) member countries – Lesotho, Malawi, and Zambia. The International Association of Plumbing and Mechanical Officials (IAPMO®), in collaboration with the American National Standards Institute (ANSI), has received a $204,880 grant as part of a United States Agency for International Development (USAID) Standards Alliance project to assist officials in Indonesia in adopting, implementing and enforcing a plumbing code. In an effort to improve the understanding of safe and reliable electrical systems and components in Latin American countries, the National Electrical Manufacturers Association (NEMA) has translated into Spanish several NEMA electrical standards and other technical documents, which are now available on the association’s Spanish standards webpage, Normas en Español. Lima, Peru – This week, the United States and Peru co-hosted two one-day workshops entitled “Best Practices in the Standardization and Regulation Experiences in the United States and Peru,” in Lima and Arequipa on August 6 and 8, respectively. 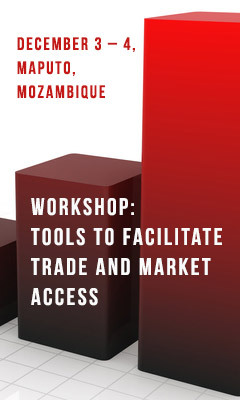 The workshops were designed to promote transparent, predictable, and effective regulatory practices that will encourage enhanced bilateral trade and investment between the two countries. . The American National Standards Institute (ANSI) and the United States Agency for International Development (USAID) recently agreed to collaborate on a new, multiyear public-private partnership intended to assist developing countries in effectively implementing their commitments under the World Trade Organization (WTO)’s Technical Barriers to Trade (TBT) agreement. USAID and the Office of the U.S. Trade Representative (USTR) first announced the program in November 2012 as a new funding facility focused on providing developing economies with concrete assistance related to capacity building. The United States and Peru share a strong commitment to expanding economic growth, job creation and inclusion through integration into global markets. Our close cooperation in the Trans-Pacific Partnership (TPP) negotiation and our high standard United States – Peru Trade Promotion Agreement (the Agreement) are recent examples of efforts to strengthen trade and investment ties bilaterally and to expand economic links between the Americas and growing markets of the Pacific Rim. Additionally, Peru is a partner in the Asia-Pacific Economic Cooperation (APEC) forum and the Pathways to Prosperity in the Americas initiative.